How did you get into paddling? I got involved in the sport of Para-Canoe in 2012, after attending a come and try kayaking day with Olympian, Amanda Rankin. What has been your biggest accomplishment in the sport so far? 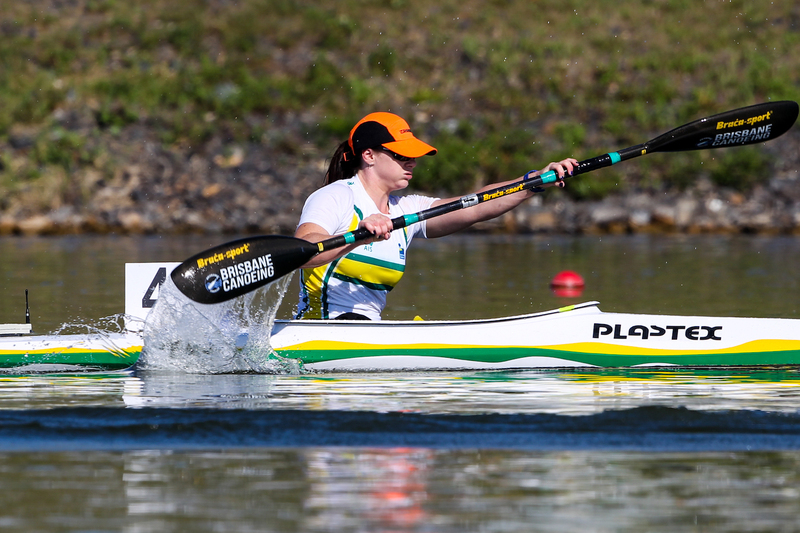 Winning a bronze medal in Para-canoe at the 2016 Rio Paralympic Games and winning 3 Gold Medals at the ICF World Sprint Championships. What keeps you busy outside of Kayaking? What is your current Occupation and/or University degree? Off the water, I spend my time volunteering for the RSPCA Queensland and doing other sports, most recently Para Ice Hockey. I also enjoy wasting time on social media platforms and blogging on my website, when I get inspired. Who is the greatest Influence on your career? In the very beginning my mum got me into sports and then coaches I have worked with over the years have been the greatest influences on my career. How would your best friend describe you? Sporty, easy-going, animal lover, chronically running late, loyal, good at keeping secrets. Do you have any superstitions before a race? Nope, I don’t have any.